Residents of Cooper City are very fond of keeping cats and dogs as their pets. They love the fact that animals are innocent and shower their owners with unconditional love. 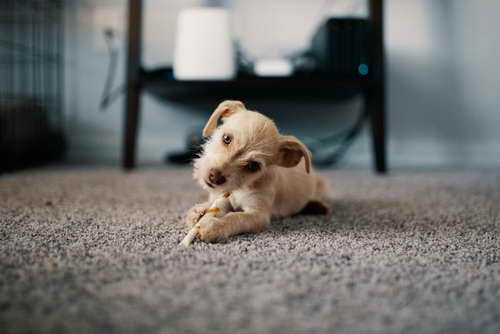 Pet owners in Cooper City are always looking for the best carpet cleaning and stain removal service to keep their carpets free from stains. Cats and dogs often urinate on carpets and other furniture which results in a bad odor all around the house. It is very difficult to locate where urine accidents have taken place in the past. A professional carpet cleaning service will have modern tools such as UV lights to locate where pets might have urinated. This helps in efficiently cleaning the carpet and completely eliminating pet odor from the house. Pets play an important role in the lives of people living in Weston. They are a source of unconditional love and never-ending joy. People also adopt pets in an attempt to reduce the sufferings of stray cats and dogs. Keeping a pet can be an act of kindness as well as a person’s own love for them. Adopting a pet isn’t just limited to giving them food to eat and a comfortable place to sleep in. It also comes with a responsibility of providing a clean space for them to urinate. Cat owners usually buy a crate and fill it with cat litter while dog owners have to take them in the backyard so that they can do their business. If pet owners do not provide a space for their furry friends to urinate in, they might end up accidentally relieving themselves on the carpet. In that case, pet owners look for the best carpet cleaning service in Weston who can help them get rid of pet odor and stains. There are a lot of people living in Plantation who cannot imagine living without their furry friends. They love their pets and can do anything to keep them happy. Living with pets is often accompanied by pet odor. Hence, the residents of plantation should look for the best pet odor removal services in town. Since the pet owners allow their fur babies to freely roam all around the house and sleep on the couch, the pets are more likely to have accidents on the floor as well as the furniture. The stench of pet urine lingers all over the house. The pet owners become immune to this odor but it causes great discomfort to people who visit their house are not comfortable with it. Davie Carpet Cleaners are the best choice for pet odor removal in Plantation. They have trained and experienced staff members who work hard to make your house smell great. Pet owners in Davie do not realize the fact that keeping pets is accompanied by pet odor in the house. To remove odor, pet owners need to hire a professional carpet cleaner for pet urine. The problem is that pet owners are immune to the smell associated with their pets and fail to understand why their guests are feeling uncomfortable at their house. Pet accidents also result in a stench of urine all over the place. Some male cats have the habit of marking their territory by urinating at the same place again and again. This results in a very sharp smell lingering all over the place. A professional carpet cleaner will help in removing the bad odor. Davie Carpet Cleaners are the best option for pet odor removal in Davie. They have skilled professionals who use the best products and equipment to keep your carpets free from all kinds of stains and odors. Pets play an important role in the lives of many people living in Plantation. They provide emotional support and unconditional love to their owners. They help relieve stress and lower blood pressure by just being the bundles of cuteness that they are. Pets are loved by everyone around them but they rely on their owners for a lot. Pet owners need to take care of their pets by fulfilling their basic requirements such as giving them food to eat and providing a safe space for them to do their dirty business. Not properly potty training them leads to accidents in and around the house. 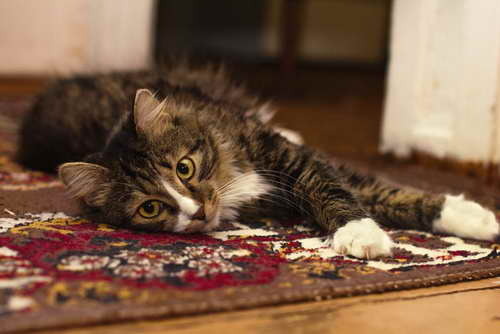 Cats and dogs often urinate on floors and carpets, leaving behind stains and a strong disgusting smell. Cleaning carpets at home by yourself is often ineffective. A professional carpet cleaning company needs to be hired. Davie Carpet Cleaners are the best choice for pet stain removal. Having pets in the house comes with stained carpets and removing urine from carpets and furniture can prove to be a difficult task. Using store-bought chemicals to remove pet stains is not a good idea. They will bleach your carpet and destroy its outlook. A professional pet stain removal service needs to be hired. Davie Carpet Cleaners provide the best pet stain removal services in Plantation. They use fabric-friendly products to remove stains. Pets are like family. They are treated with the same amount of love and care as any other family member. Having a pet around the house is certainly fun, but it comes with a lot of responsibilities. Pet owners need to keep in mind that their pets will urinate around the house on occasion. 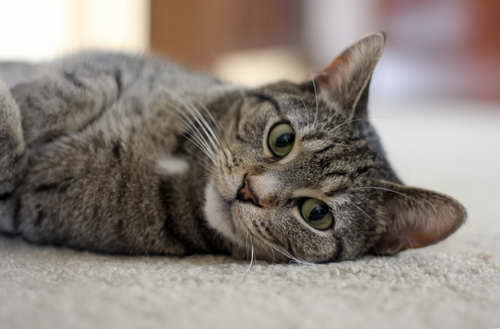 While they are out of the house at work, their pets might stain the carpet. A lot of people try to remove carpet stains themselves, but they usually fail miserably. 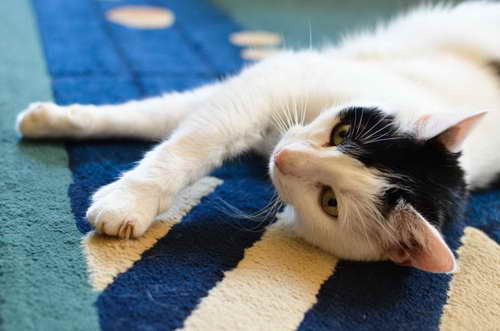 A professional carpet cleaning service is necessary for removal of pet stains. Davie Carpet Cleaners provide the best carpet cleaning and pet stain removal services in Davie, Plantation, Weston, Cooper City, and Broward County. It is difficult to remove pet stains from carpets because the urine tends to get absorbed into the fibers and the base of the carpet. Most people will try to get the stain out by trying to absorb the urine in a towel or tissue paper. They will then try using different chemicals to clean the carpet, yet the stain doesn’t budge. A professional carpet cleaning service is the order of the day. Pet stains also come with a bad smell which worsens over time. 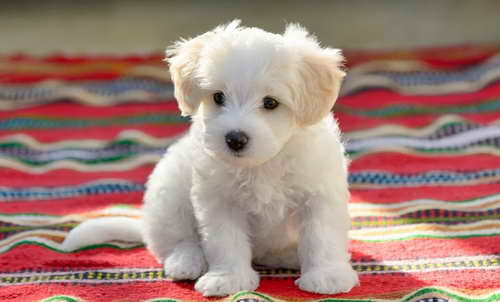 Davie Carpet Cleaners are the best choice for getting rid of pet stains in Davie. Homeowners in Cooper City are fond of keeping cats and dogs as pets. Unfortunately, keeping a pet isn’t as simple as it sounds because it often results in accidents on the carpet. 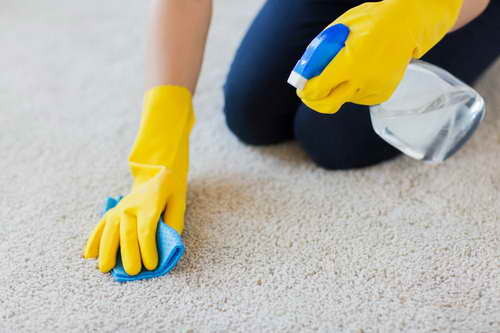 Davie Carpet Cleaners provide the best stain removal services to help you cope up with the mess. Pet owners love their furry friends and treat them like a part of their family. Keeping a pet is just like taking care of a child. Pet owners need to take care of all their desires to make sure they are happy. They need to be fed on time and require a designated space to urinate in. A small litter space inside the house is enough for cats whereas dogs need to be taken outside after regular intervals so they don’t end up creating a mess inside the house. Sometimes, pet owners become so busy they forget to take their dog outside. This results in a dirty mess on the carpet flooring. In this situation, the pet owner must first clean up the mess and then call a carpet cleaning service. The service personnel will work to remove the stain left behind. Simple cleaning will not remove the stain completely, so it’s important to call a carpet cleaning service to do the job. Keeping a pet at home is one of the most beautiful experiences. They provide us with companionship and a lot of emotional support. Pet owners in Weston know that pets sometimes have accidents on the carpet. That’s when they look for professional carpet cleaning services for removal of stains and bad odor. 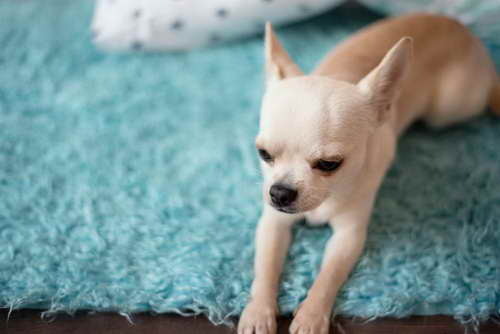 What to do in case a pet accidentally urinates or defecates on the carpet? The first step is to get rid of the solid face and then use a cloth or a paper towel to absorb the liquid. The carpet should be cleaned with a cloth soaked in water. This will help in removing your pet’s dirty business from the carpet. But this is not sufficient. You will also have to train your pet not to do the same thing again. Coping with this situation on your own isn’t enough. Davie Carpet Cleaners are the best choice for pet stain removal in Weston. They have the knowledge of equipment and products that will help in removing stains effectively. Years ago, if people walked into a home that was void of wall to wall carpeting, they would have thought the owner was too poor to buy soft flooring or was absolutely nuts. Thankfully, carpeting is a thing of the past, or at least isn’t found on every floor surface of a home. Carpets can get very dirty, very quickly, which is why many people in South Florida opt to have beautiful tile flowing throughout their homes. In all reality, it’s much cleaner. Dirt and germs get trapped within the knap and fibers. They even penetrate the backing and get deposited inside of the padding. No amount of vacuuming can help, and the finest cleaning products can’t get all the way down into the pad. It’s better to have hard surface tile that can be cleaned easily and thoroughly. In a flood incident, carpets would be destroyed, but tile can be saved. They will require a professional cleaning service; however, that’s a minimal cost when compared to replacement. Flood water can discolor the tile and grout. Davie Carpet Cleaners has the proper products, equipment and experience to make your tile and grout look like new again. The popularity of hard surface floors has increased drastically over the past couple of decades. While it was always installed in kitchens and bathrooms, rarely was it seen throughout the entire home or condo unit. Wall to wall carpeting has and is significantly less of a cost to purchase and have installed. Most people won’t admit that’s why they have it, normally they say they like the softness under their feet. That’s understandable but thinking about all the germs and smells that get deposited on the carpet is enough to make one’s skin crawl. Simply walking indoors from a shopping trip or doctors visit can bring in a plethora of bacteria. The warms and knap of carpeting is the perfect breeding place for these germs, so they will grow. Even with vacuuming, they’re still there. Tile floors are a much better option for the health of your family, especially if there is anyone with breathing issues. Keeping tiles clean is easy. Sweeping and mopping weekly is enough for regular maintenance; however, a company should come in to do a deep cleaning every year. This will keep the floors looking good. Davie Carpet Cleaners offers complete tile cleaning services for commercial and residential properties. Although there are many people living in Broward County that opt to have either tile or wood flooring throughout their homes, there is something to be said for houses with carpeting from wall to wall. Everyone living South Florida would agree that sweeping a floor is a lot easier than vacuuming sand and debris out of wall to wall carpet, but hard flooring feels cold at times. It can make a space feel uninviting and sterile. In very large homes with high ceilings, the lack of carpeting or area rugs can even result in echoing, when people speak loudly. Young children find the echo factor to be fun, and can occupy them for a good while, but annoy the adults in the house. Although this can be quite humorous at times, it doesn’t give the atmosphere of being homey and comfortable. Carpeting can resolve the problem however; you will need to have the carpet cleaned professional at least once each year. It’s better to have it done every six months. This will extend the life of the wall to wall carpet, and protect your investment. Davie Carpet Cleaners offers complete carpet cleaning services throughout the county. For the most part, homes and condos in South Florida are covered in wall to wall tile, hardwoods, polished concrete, or laminate flooring throughout the property. There are also some that have wall to wall carpeting however; they are few and far between because of the sand, dirt and debris that get tracked indoors. While hard surface floors tend to be easier to keep clean, they tend to give the impression that the home is cold and uninviting. This is the reason that most people incorporate area rugs into the décor of their homes. Not only do they make the house more welcoming, but they also can add a pop of color and bring in a different texture and pattern as well. Area rugs can be conversation pieces in and of themselves. Many of them are truly work of art by their own right. It’s a fact that rugs can truly change the appearance and feel of any room in the house. As with any soft surface, they can be damaged easily. A baby’s leaking diaper, or a pooch or kitty having an accident can make for stains and smells. Professionals are needed to tackle those issues. Davie Carpet Cleaners provides experts for cleaning rugs and eradicating pet stains and odors from your soft surfaces. It can be a job in itself to keep homes and furniture looking and smelling clean in South Florida. Most people here lead very active lives, which means spending lots of time outdoors in the glorious sunshine. The sun and the heat also lead to perspiration. Many people get embarrassed about the word perspiration, but every human being on the planet perspires. The truth of the matter is that perspiration does get deposited in all of the upholstered furniture in the home. Think about it! If you’re sitting on the lanai and it starts getting too hot outdoors, most people go in the house and sit on the couch. They don’t jump in the shower first. The perspiration on the body gets soaked up by the fabric and stuffing. Of course, if guests are over the same thing happens with their perspiration too. 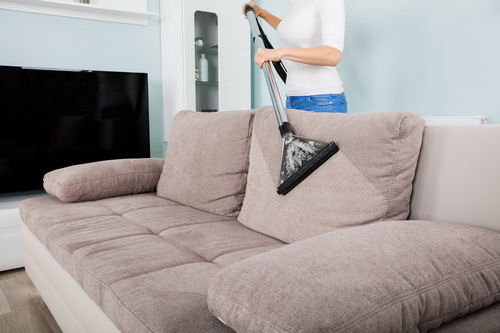 It makes you seriously think about getting your couches and chairs cleaned by a professional company. 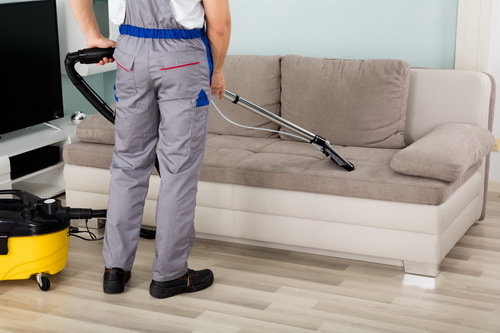 Davie Carpet Cleaners offers complete upholstery cleaning for all types of fabrics. Everyone wants to have a nice, clean home that smells like it’s well-kempt too. No sane person wants to be known as the person with the dirty and smelly house. It’s important to make a good, first impression on your friends and family members, and a clean home that is decorated with tasteful, yet comfortable furnishings is certainly a good way to do so. Naturally, when you buy new furniture, it is in pristine condition, and free from any odors. Unless you live in a museum, it simply won’t stay that way on its own. You should consider contracting with an upholstery maintenance company that is experienced in caring for a variety of fabric types. This regular maintenance will help to protect the furniture, keep it looking nice, and ensure that any odors are removed. Precaution is much better than dealing with problems later. Davie Carpet Cleaners provides fast, quality service to keep upholstered furniture in tiptop condition. There isn’t a person in the world that doesn’t want their home to feel comfortable. Most look at their homes as safe havens, and sanctuaries where they can get comfy, relax, and enjoy the home that they have created and are paying for. Of course, people still want their homes to be clean and fresh looking, but that doesn’t mean that they can’t take a snooze on the couch, or put up their feet o the ottoman. Over time, upholstered furniture picks up smells, regardless of how clean a person or family is. In all reality, every single person on the planet perspires, and drops dead skin cells everywhere the sit or lay down. This is a fact. That perspiration and skin cells get deposited on and in the upholstery of the furniture, and without regular attention can make the furniture look and smell less than welcoming. 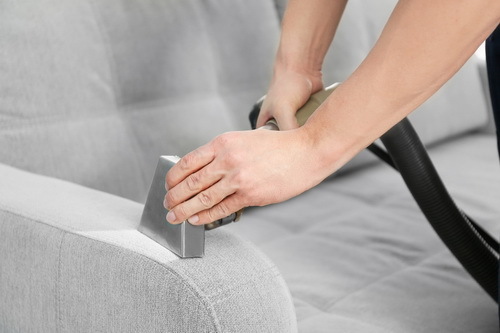 Regular vacuuming using the upholstery attaching can help, but a deep cleaning should be done at least once each year. This will also help to extend the life of the furnishings. Davie Carpet Cleaners provides the highest quality upholstery cleaning services for residents of South Florida. With the cost of buying quality furniture soaring up to absolutely insane prices these days, it is of the utmost importance that the investment that you made in it be protected. That’s not to suggest that you should seal the couch in plastic as they did in the sixties and seventies, but to be more mindful of it. Of course, accidents will happen but in the interim, the lifespan of your furniture can be greatly increased by having regular maintenance cleaning performed. Just think about the amount of skin cells shed every day. In all reality, the human body sheds approximately forty thousand skin cells every minute. Although invisible to the naked eye, those skin cells wind up deep down inside of your upholstery. Just thinking about that makes your skin crawl. Therefore, your upholstered furniture gets heavier over time. 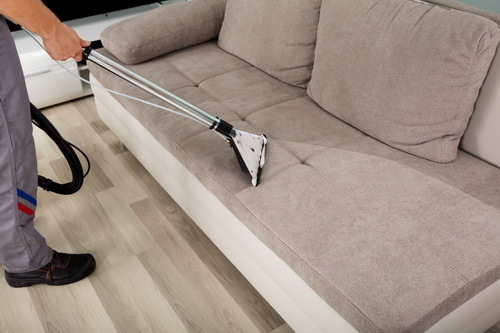 Regular cleaning can help to remove those old skin cells, and keep your furniture looking and smelling good. Davie Carpet Cleaners provides top of the line upholstery maintenance services using only state of the art equipment. There is a plethora of reasons why people tend to add area rugs and rug runners throughout their homes. 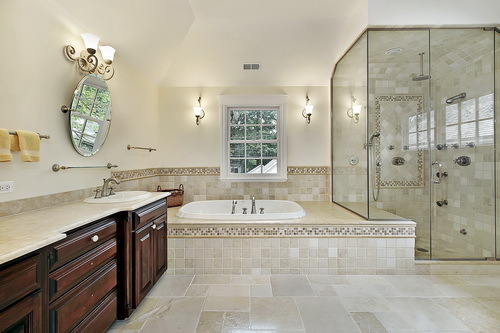 Of course, homes that are wall to wall tile or laminate can feel cold and sterile. 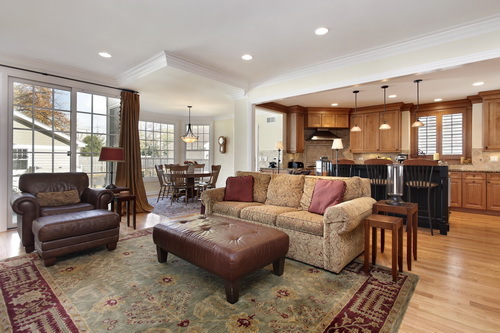 Rugs seem to warm up the spaces, and make them feel more welcoming and inviting to guests. The ultimate goal when we invite guests to our homes is to make them feel comfortable and relaxed, and not like they are in the waiting room of a doctor’s office. Of course, people also want their guests to look and say wow! That wow factor could be with a vibrant and interestingly patterned area rug. Bland is never the way to go. Pops of color, and different textures go a long way when it comes to impressing guests. 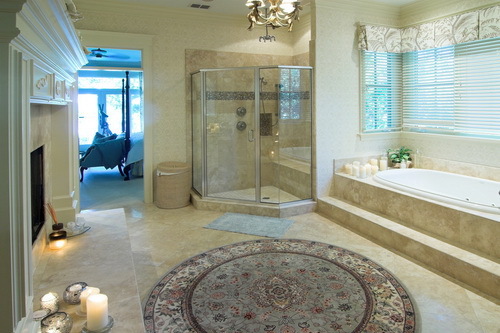 Naturally, area rugs need more care than simply sweeping and mopping hard surface floors. They need to be vacuumed often, and professionally cleaned annually. This will help to keep them looking bright and clean, and smelling fresh. Davie Carpet Cleaners offers complete cleaning service professionals that can not only take care of your area rugs, but can also provide you with tile and grout cleaning too. It seems that more and more people are adding area rugs to the décor of their homes. Considering most homes’ flooring is some sort of hard surface material, such as tile, hardwood, polished concrete, or laminate, it makes sense. Hard surface floors can make a home feel cold and uninviting. Area rugs can warm up a space, and make it feel homier and much more comfortable. 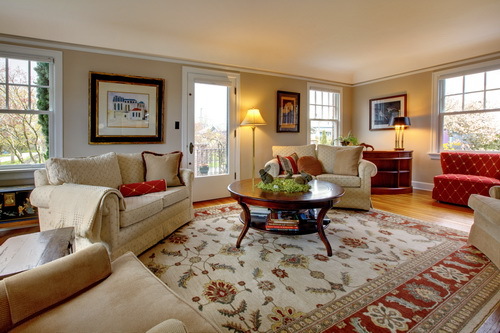 Of course, area rugs when combined with throw pillows, can completely change the look of the room. Bright colors can liven the room, while softer colors can make it feel more calming and soothing. You can’t change wall to wall carpeting in that way. Regardless of the soft floor covering, it will require regular maintenance to stay looking fresh and clean. This equates to regular vacuuming, but also annual deep cleaning by a professional company. Deep cleaning also brings the fibers back up, and can make it feel like new again. Davie Carpet Cleaners offers complete soft surface floors cleaning services in South Florida. The vast majority of homes and businesses throughout South Florida have opted to have hard surface floors installed inside of the structures. When you think about it; it makes sense because tile, laminate, and even polished concrete are so easy to clean. They can look perfect after a quick sweep and mop. No fuss, no muss however; a home or office can feel too sterile with only hard flooring. When guests or clients are welcomed to your property, they shouldn’t feel like they are entering a cold and unwelcoming place. Nobody would want to return. 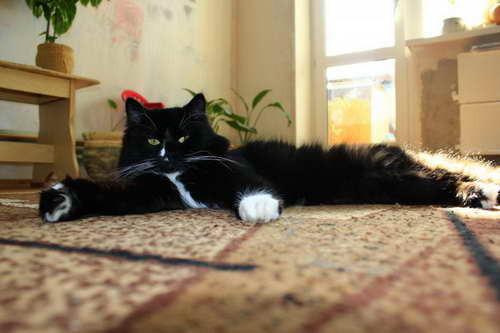 For this reason, many people add area rugs. This warms up the space, and makes it feel cozier to those who visit. Anytime someone comes into a home or office, you want them to feel comfortable, and area rugs help. Unfortunately, area rugs require some specialized care. Of course, they need to be vacuumed regularly, but they also need to be professionally cleaned at least once per year. Using products that you can purchase from Lowes or Home Depot can damage the fibers, and alter the color by removing some of the dye. It’s best left to the professionals. 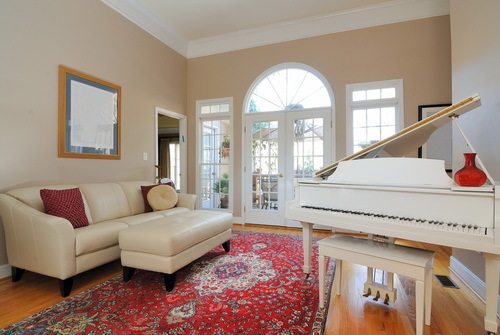 Davie Carpet Cleaners provides expert cleaning services for area rugs. It’s no great secret that the clear majority of homes in South Florida have some kind of hard surface flooring running throughout them. People believe, and it’s true that tile, hardwood, polished concrete, or laminate floors are easy to maintain. Sweeping and mopping, along with the annual tile and grout cleaning services will keep the flooring looking beautiful. These homes tend to feel sterile, cold, and unlived in. Wall to wall carpeting might not be the flooring of choice for most, but it makes for a more comfortable place to live. During cold snaps in the winter months, it’s a lot better to sink your feet into carpeting than have to deal with the cold of tile floors! Unfortunately, carpeting is a wonderful home for bacteria. People sneeze and cough, and those droplets of fluid contain bacteria that will breed in your rug. This is one of the reasons people complain that they can’t seem to shake the cold or illness they have in their bodies. You sanitize your counters, sinks, toilets, and other hard surfaces, but the soft surfaces, such as carpeting and mattresses are forgotten. This is problematic. Davie Carpet Cleaners can sanitize your carpets, in an effort to make your home germ-free.